Illuminating the Darkart of Garden Lighting. 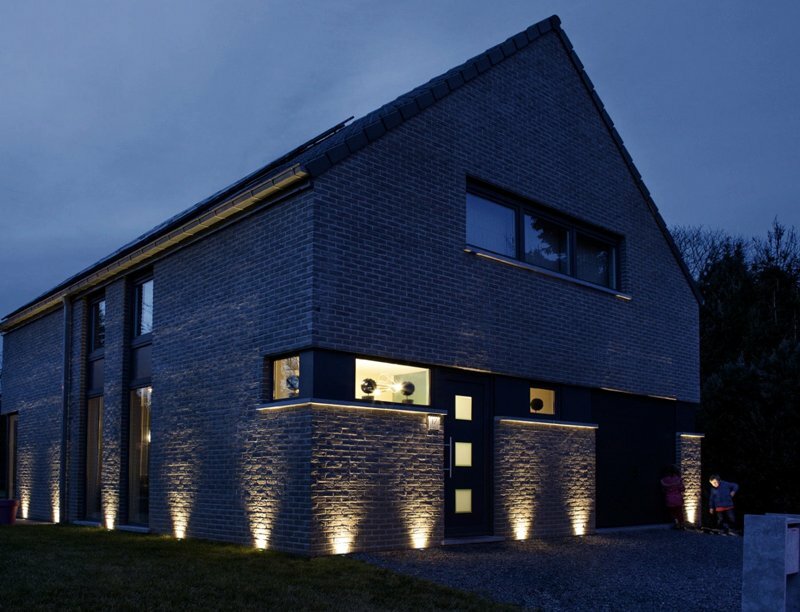 A bespoke architectural landscape lighting collective with expertise, innovation and style. We are purveyors of the “dual garden” concept. 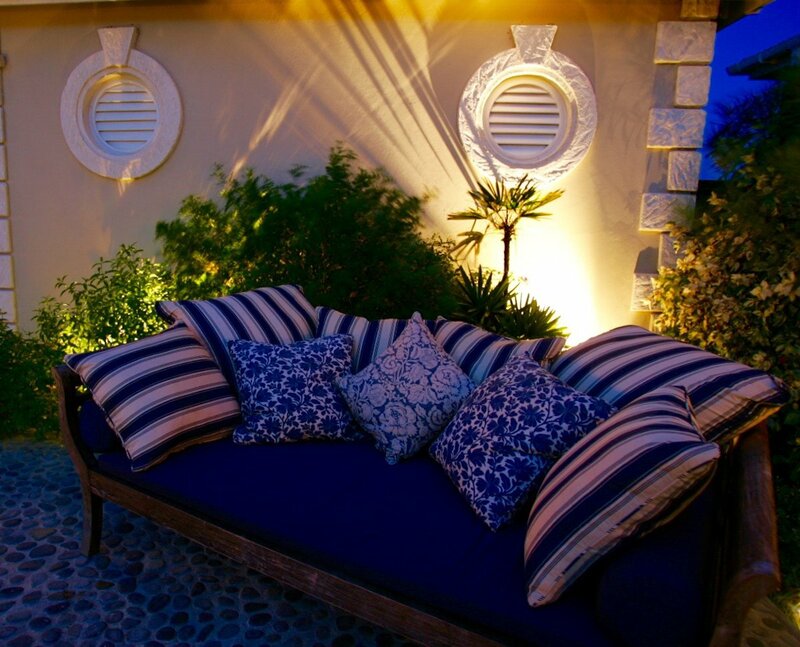 Creating stunningly lit spaces to rival daytime enjoyment. The solution for unique lighting within your outside space. Inviting you to relax, entertain or simply enjoy whilst viewing from the comfort of your home. Quality lighting design and installation has many layers. From the natural features your garden already holds, to the vast array of lighting techniques and solutions we bring; its all we do. 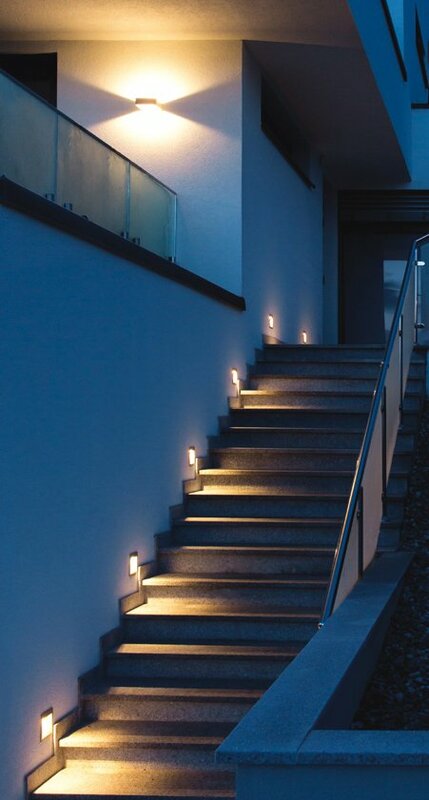 Qualified, competent electricians who understand the unique requirements of external lighting. UK gardens are a harsh environment; from snow to 90 degree heat in the flip of a season; Add to that the deluges of rain, friendly garden pests and kids with footballs, and its clear that a quality installation is the only one that will survive. Maybe you have experienced a sub standard installation in the past and are hesitant to explore again. Our approach is bespoke. Whether your garden is a mature traditional country estate, a contemporary rooftop terrace, a suburban family garden or a garden yet to be built. There’s no one size fits all with lighting; our passion is to enhance your use and enjoyment through all seasons. Functional Light – correct lighting for changes in level, dining terraces, entrances and exits into the garden, even as simple as where the rubbish bins are sited. 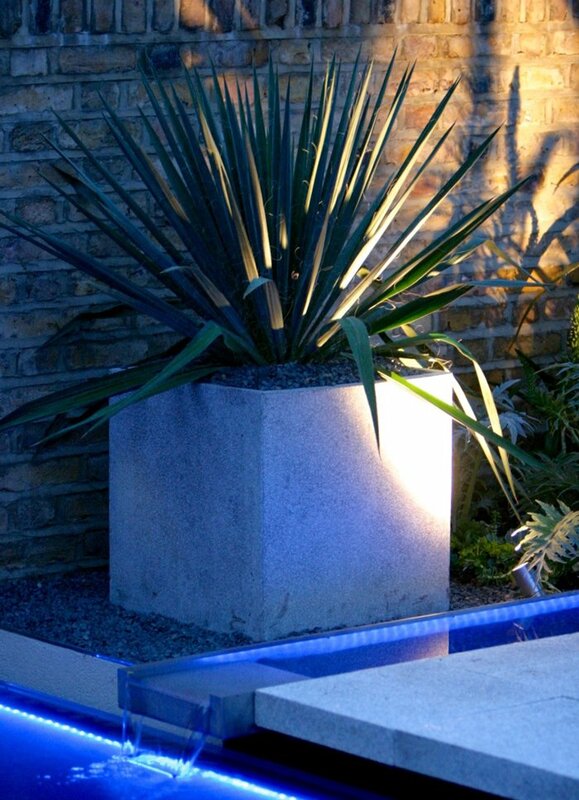 Aesthetic Light – lighting that creates mood and ambiance in the right areas of the garden. Seating areas, around a swimming pool, at the juncture of the house and the garden to invite you to use the space. Its light that is ‘felt’ rather than seen. Feature Lighting – whether the features are existing trees or imported sculptures, water features or the arch of a pergola. Its important to tackle your vista from within the house, as during the winter thats your predominant view. An art piece within your window frame. Your means of lighting control and convenience are just as important as choosing the correct light fitting for its purpose. Often this is by wireless control systems such as Lutron or LightSymphony; creating scenes at the touch of a button. However, you will still need the convenience and security of automated light; illuminance when you return home or travel away. We have options for all eventualities. One touch simplicity. We like to keep the journey approachable and seamless. From consultancy, design, installation and maintenance. We welcome you to contact us for an informal conversation. 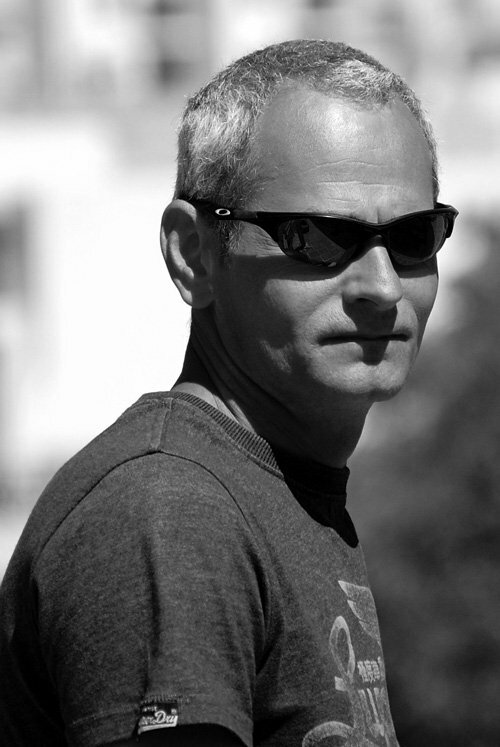 He is passionate about architectural landscape lighting; he progressed his successful electrical contracting business by studying external lighting design in London. He lifted his passion to gold medal standards, becoming recognised as a leading light in the Darkart. He is a frequent contributor to various trade magazines such as Prolandscaper; a regular speaker for industry initiatives, such as Bali, SGD and Futurescape. He is part of the teaching team at London College Of Garden Design held at the world renowned Royal Botanic Gardens, Kew. 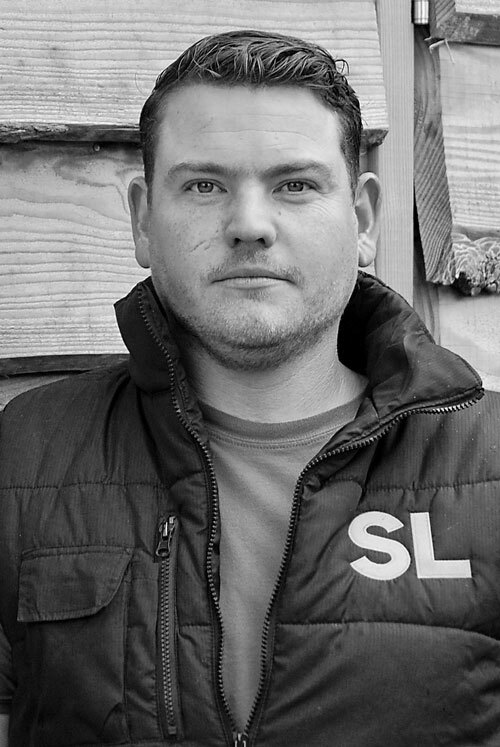 Toby Lewis joined Scenic in 2009, from a high level landscaping background. He is a true hard worker and an invaluable No 2. Focused, efficient and experienced. Loves new challenges as much as refining older techniques. A conscientious communicator with whom the ‘extra mile’ is part of everyday life. Scenic Lighting have been designing, installing and maintaining landscape lighting since 2002; its come a long way since then. Products, demands and the advent in UK outdoor living have seen us grow as the ‘go to’ knowledge base for unique lighting projects. Very few gardens require “off the shelf’ or ‘out the box’ techniques. They are all unique, that is why we spend time making sure our solutions are right for you. We supply and fit a vast range of products that provide cost effective installation and cutting edge choice. We are not ‘tied’ to any one manufacturer or brand, unlike some of our competitors. We use a host of Eco-friendly low voltage products from worldwide renowned manufacturers; as well as bespoke locally sourced UK suppliers. Sometimes sourcing salvage light fittings or making our own. 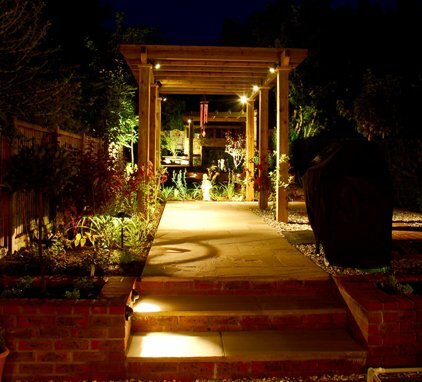 We are specialist outdoor lighting architects; experienced in helping draw projects to a successful conclusion. On time and within budget. Our knowledge of physics, optics, electricity, ergonomics, environmental issues, construction and vision make us light years ahead. Together with the art of design and skilled techniques that enhance visibility — key ingredients in a successful completion. Most lighting principles stay the same, but application is where the dark art is performed. To ensure that we are genuinely in tune with your requirements we gain insight into your lifestyle. We listen to you. From the moods you would like to create to the practicalities of children and pets. Our lights won’t become goal posts. Describing lighting effects and moods can be daunting especially when the landscape has not even been planted, so it is important that you are an integral part of the planning process. Continued communication and collaboration are key to realising your lighting ambitions. If you’re unsure then we have plenty of ideas, based upon our full portfolio and evolving product availability. Effective realistic budgets bring landscape and architecture to their fullest potential. It’s a key part of the collaborative process. We freely talk about money, it is not a taboo subject to us; after all it’s an investment in the value of your home. In our experience its often the landscape that sets the budget. Individual unique lighting requirements lead us to offer a budget based upon our portfolio of works. We advise on this budget, and then design for approval. Our goal is to be part of the solution; so we are realistic and honest during all discussions. Fixed price installation costs are clearly laid out at the beginning of any project; there are no hidden extras or surprise invoices. To commission us we would normally ask for a 20% deposit of the agreed costs, with stages set out to suit the advancement. We can then order parts and brief our team on installation. Often this will include talking to your landscapers, providing plans for ducting or conduits to suit speedy cost effective installation. We offer that service free of charge. After completion and all of the works have been signed off, we don’t just walk away ! All of our work is guaranteed for a minimum of 12 months by ourselves. So any maintenance issues or mishaps are dealt with quickly and effectively, including accidental damage. The lights we supply can have manufacturers warranties of up to 10 years; so a spare parts supply chain is apparent. 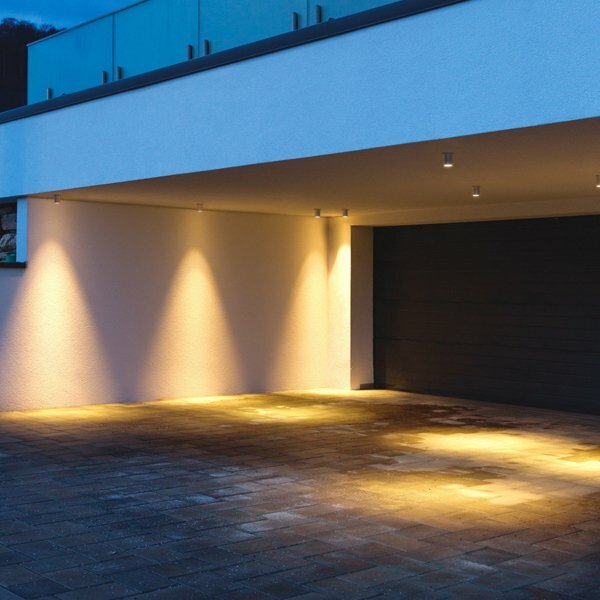 You wont often find that our lights are superseded or unavailable if you require any additions. We believe our approach sets us apart from any competition. Working seamlessly with you, your chosen landscape contractor or one that we could recommend. 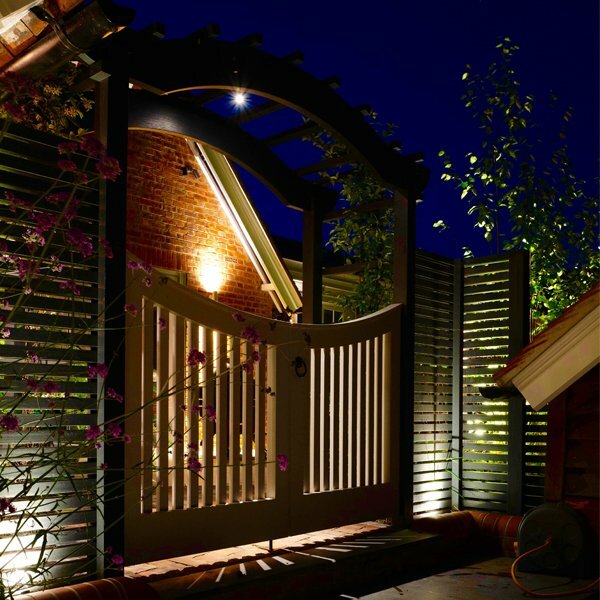 Without lighting, your garden becomes an unusable space after dusk; with our friendly refreshing approach, we unlock the door to your “garden room” however large or small. Our portfolio of commission images is extensive, however that often includes private clients who prefer to stay anonymous. Therefore we provide the images below to show some of our work and to inspire ideas for your project. You may have a specific lighting need not shown; just contact us to start the process.